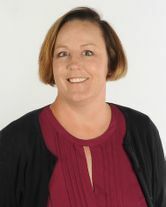 Amy is the Corporate Relocation Manager for NP Dodge Real Estate. She is responsible for the management of all incoming referrals including corporate, broker to broker, and 3rd party referrals related to the Residential Division of NP Dodge. She is the primary liaison to all our Relocation Management Company partners, Leading Real Estate Companies as well as managing the employee rebate and military rebate programs within the department. Amy has her real estate license in Nebraska and joined NP Dodge in 2018. Amy has over 20 years of experience in managing real estate relocation business. Her background includes working with Relocation Management Companies as well as Broker to Broker business. She also worked at several Relocation Management Companies which gives her a complete understanding of the relocation process, including Origin and Destination Services. Amy earned her bachelor’s degree in Journalism with a minor in Psychology from the University of Nebraska at Omaha. Born and raised in Omaha, Amy enjoys spending time with her family which includes twin daughters who have varied interests – One in competitive softball and the other in competitive show choir. She loves going to both her daughters softball games and show choir competitions.